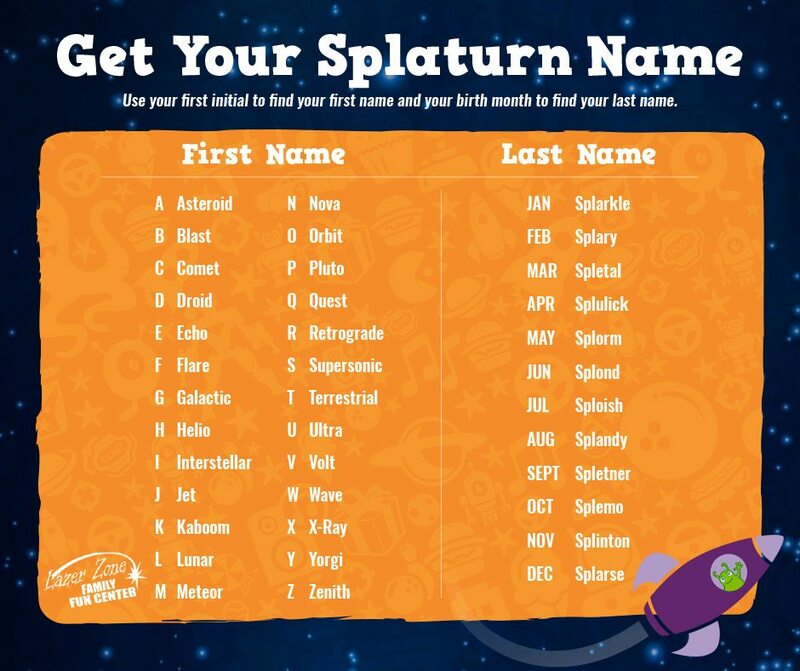 Splaturn is a planet in a galaxy far away, where our friend Splat came from. It is a planet that loves parties, pizza, games and everything fun! 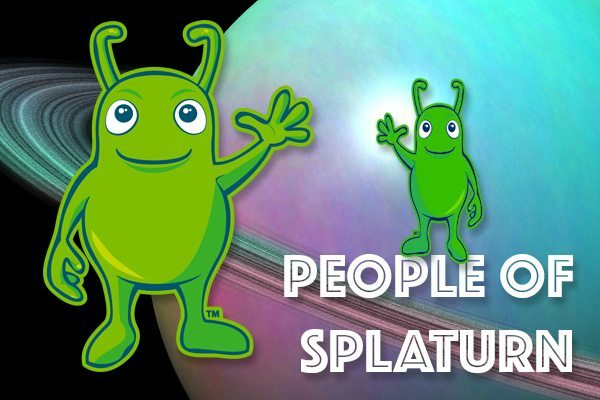 Splaturnites are the number one party planners in the universe and Splat came to Earth to give us a taste of Splaturn – he found the perfect spot at Lazer Zone! As a friend of Splat’s, you are an honorary Splaturnite! Here, you will find quizzes, games and more to help you learn more about your new Splat-tastic life. What is your name on Splaturn? Splaturnites don’t know Earth languages, so for you to communicate, you need to know what your name is! Here’s how you can find out. 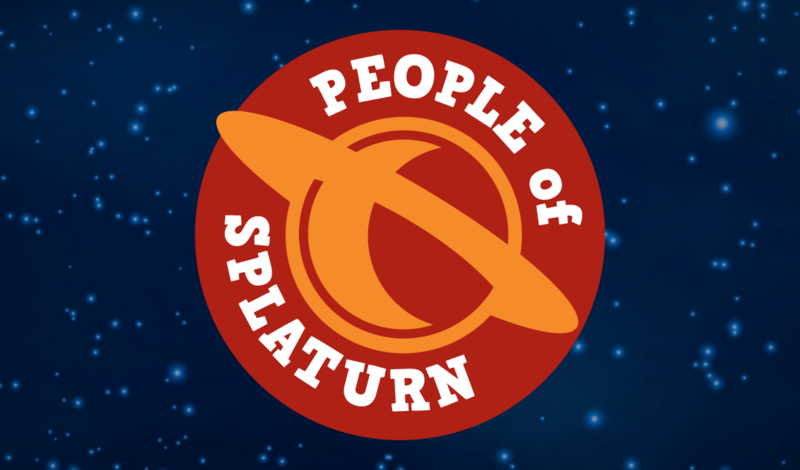 Where would you live in Splaturn? Not Oklahoma! 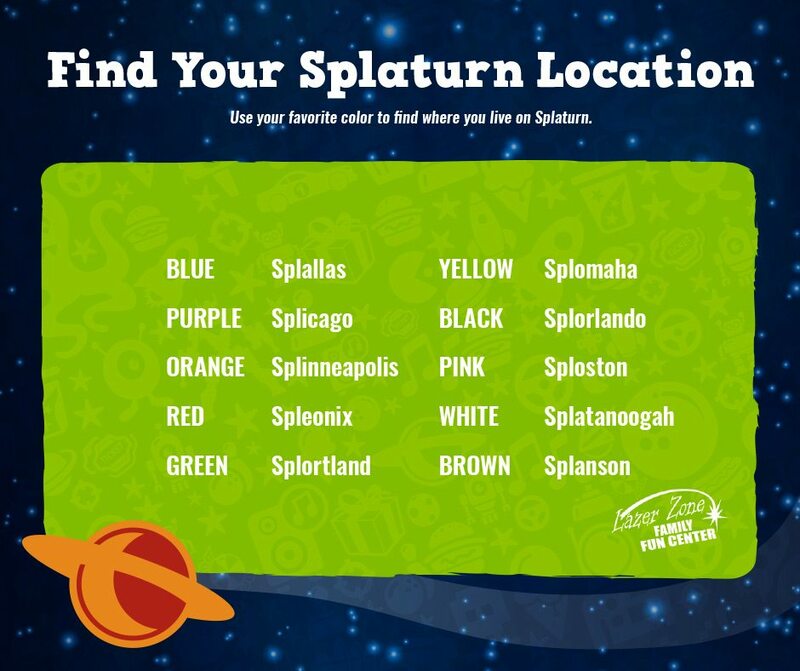 You have a special home on Splat’s native planet, so you need to know where in case you ever get the chance to visit. Taking a trip up to Splaturn? 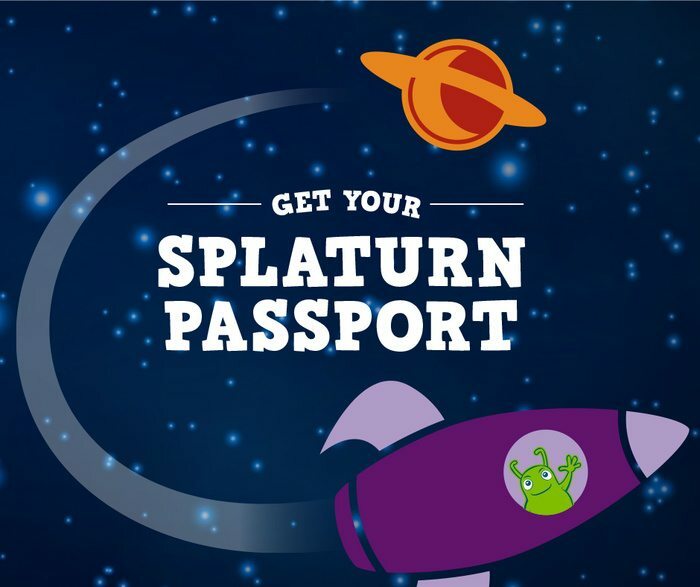 Well, you better take your Splaturn Passport! Print this off, draw yourself as a Splaturnite and bring it to Lazer Zone for a special prize.